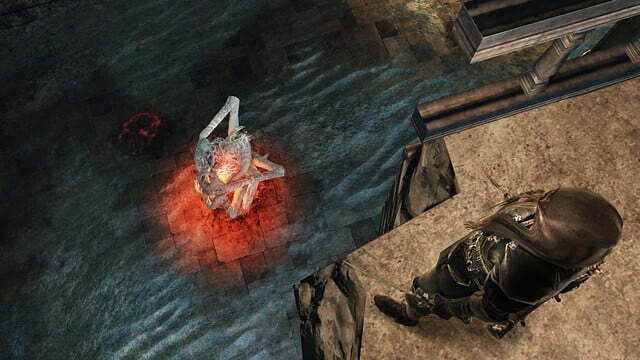 In Dark Souls 2, From Software chose to leave out the sorts of brazenly unfair areas that players of Demon’s Souls and the original Dark Souls loved to hate, like the toxic swamp in the Valley of Defilement and the magma plains of Lost Izalith. 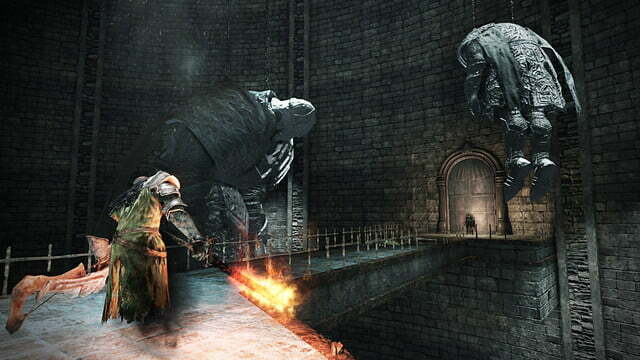 But with the second DLC expansion for Dark Souls 2, Crown of the Old Iron King, the designers have made it clear that they’re out to make things as frustrating as possible, especially when it comes to the bosses. For many players, that’s a selling point. Like the Crown of the Sunken King DLC before it, Iron King sends players through a portal to a brand new area filled with previously unseen enemies, armor, weapons, spells, and bosses. 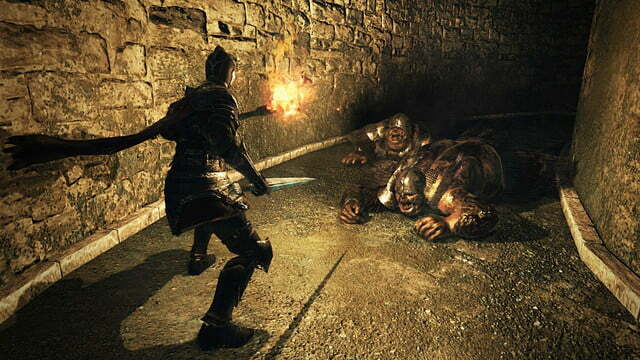 And like the previous expansion, it also features a more complex environment than the areas found in vanilla Dark Souls 2, one that harkens back to the days of Sen’s Fortress, Blighttown, and the Great Hollow of the first Dark Souls. 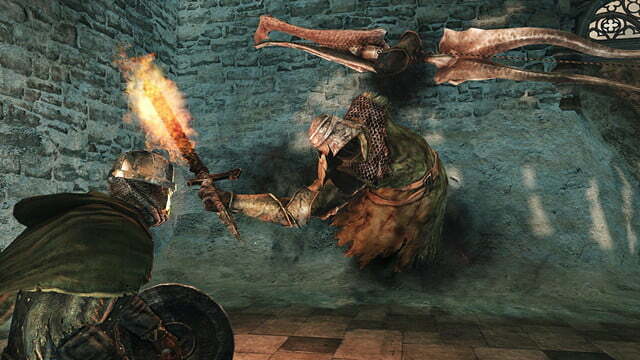 You can also just run in screaming and wing it, which is part of the beauty of Dark Souls. 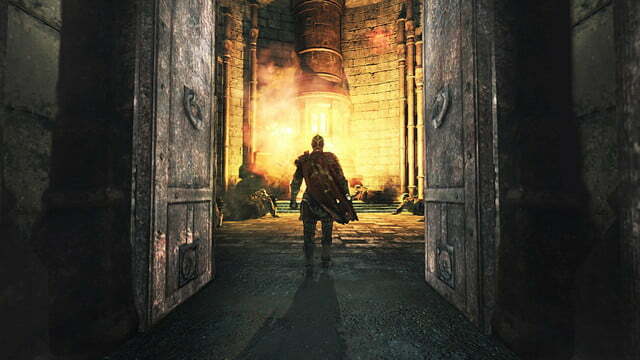 Accessed through a new room just past the Old Iron King boss fight area in Dark Souls 2‘s Iron Keep, this expansion sends players to a single new location: Brume Tower. 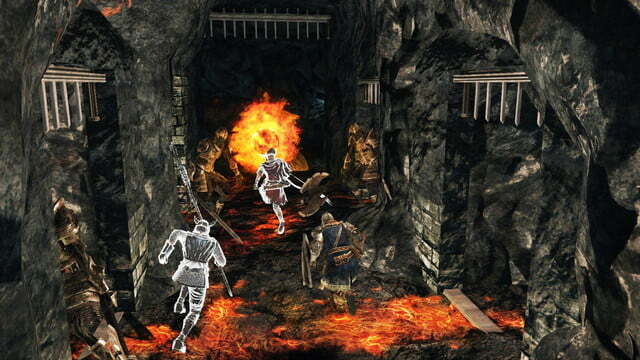 There’s also a small offshoot area called Iron Passage, which like the path that led to the trio boss in Sunken King features a difficult boss fight at the end of a brief, super-hard area. 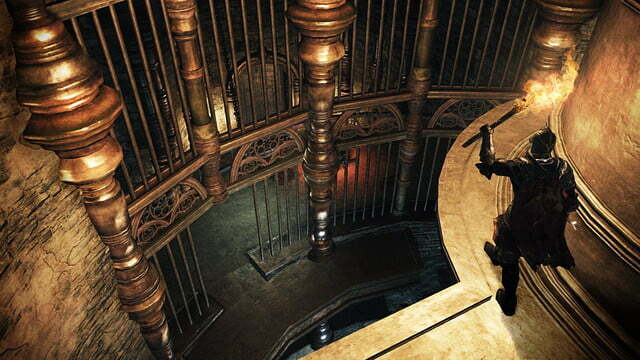 Unfortunately these environments aren’t as immediately compelling as Sunken King‘s waterlogged subterranean city. Brume Tower is actually drab by comparison, and it feels much smaller than the sunken city. As is the norm with this series, the story told in Iron King will only be apparent to the most dedicated players, or at least the ones who frequent the message boards. Unsurprisingly it concerns a not-so-great king—more or less the same one you fight in demon form in the game’s main story—whose realm fell into chaos when he sunk into the lava. 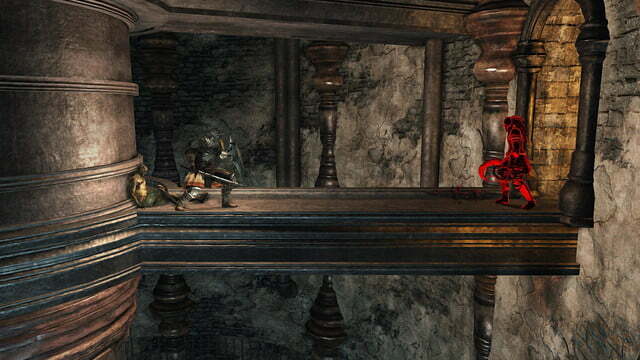 If you’re paying attention, it actually ties in nicely with the game’s Iron Keep level, and the items and lore found there. There are nuggets of story hidden everywhere, but the most apparent is a woman named Nadalia who at some point in the past renounced her flesh and committed her soul to “ashen idols” that are scattered around the expansion. These idols play an important role in several areas, and they add a fun and frustrating new wrinkle to encounters. They’re capable of attacking you with fire, causing a lingering “curse” status effect within large areas, healing your enemies as you fight them, and spawning new enemies altogether. The only way to eradicate them is to use a finite new item on each one you find. Naturally this involves a lengthy animation that’s difficult to perform with foes constantly being healed and resurrected around you, so it takes some quick thinking to get past these things. 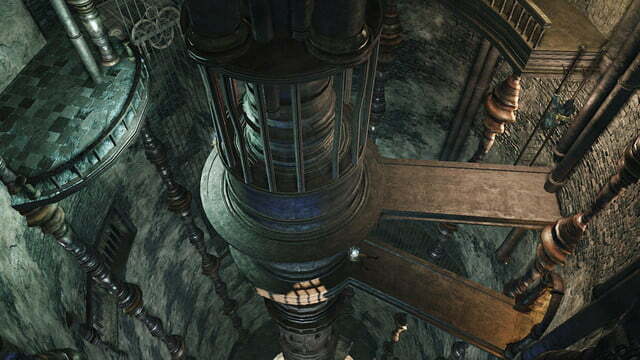 Brume Tower itself is a massive fortress comprised of multiple structures that are linked by gargantuan metal chains. Endless plains of fire and lava stretch in all directions around it, while its peaks and ledges are smothered in a crunchy substance that appears to be snow, but turns out to be ash. 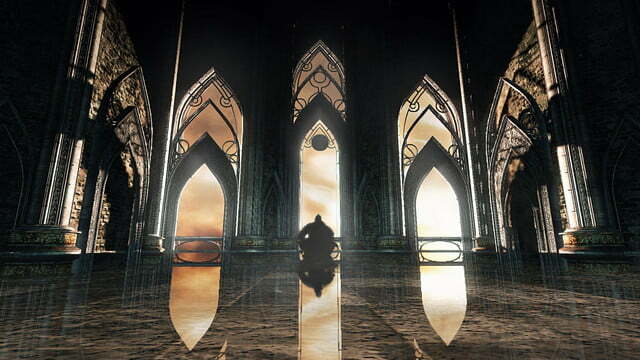 The main tower is filled with elevators in the form of hanged giants whose backs you’ll ride up and down to various platforms. It’s more like a really macabre Legend of Zelda level than anything else, and at the very least it’s unlike anything previously seen in the series. 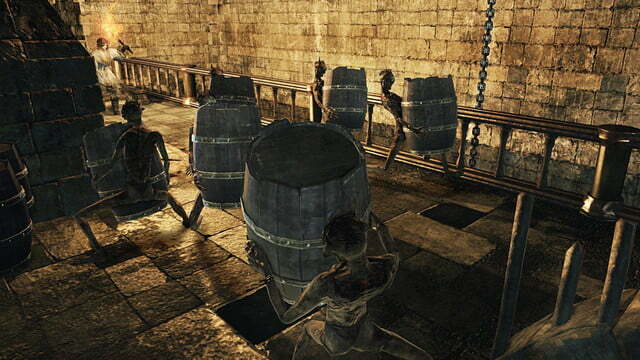 The environment comes into play often, especially as you encounter enemies that carry kegs of black powder around. These won’t attack, but instead run directly away from you, making it possible to drive them toward fire-spewing statues—or even large enemies that themselves spew fire from their arms—and cause massive explosions. In some rooms you can move these statues to create sliding flame walls, while in others it’s wise to drive some keg-wielders in ahead of you. 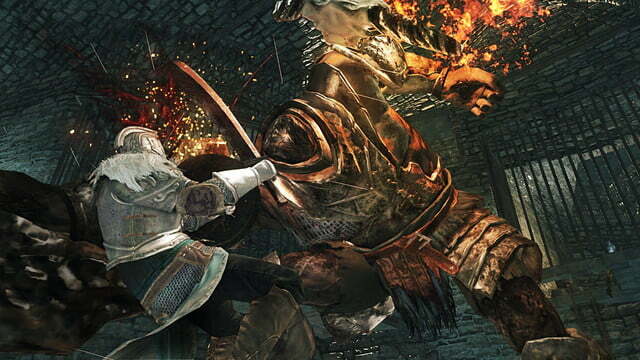 Then again, you can also just run in screaming and wing it, which is part of the beauty of Dark Souls. 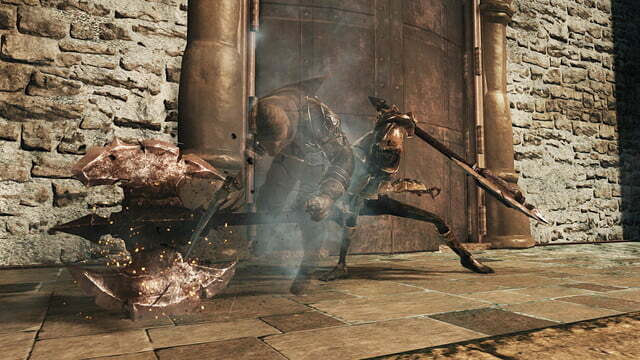 Crown of the Old Iron King contains some of the most difficult fights of the entire series. In any case the real stars of Crown of the Old Iron King are the bosses. 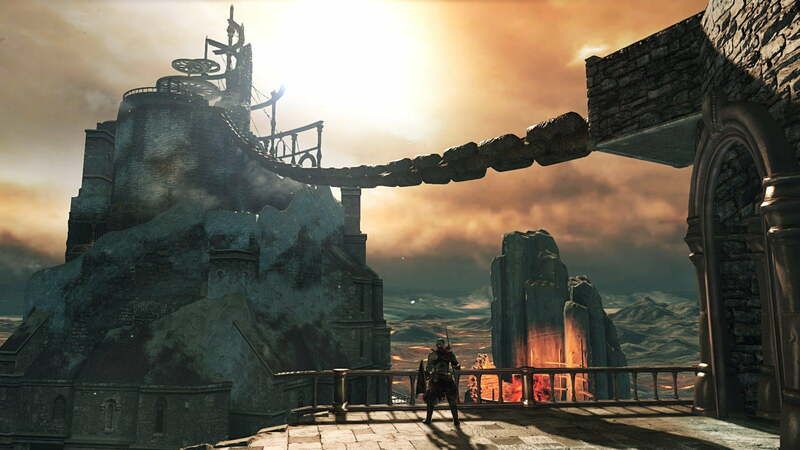 You’ll be pretty far into Brume Tower before you reach the first of three new boss fights. By that point you may be feeling like the new expansion isn’t quite as extensive as the last one, and though you’d be right in terms of pure geography, you’ll probably be complaining about something else once you’ve spent hours and hours trying to take this thing down. You may have to significantly change your loadout and strategy just to have a chance, and you might even consider using a Soul Vessel to re-spec your stats. It’s that hard, with or without other players to help. 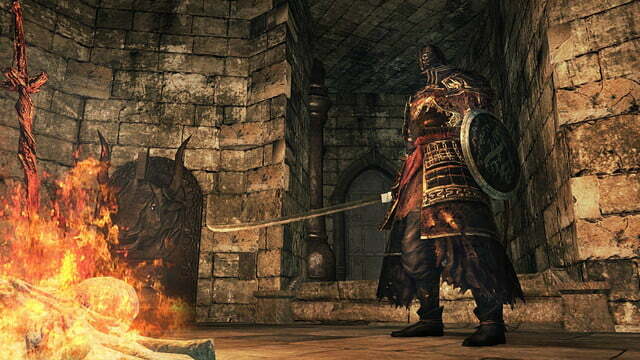 Dark Souls 2‘s abundance of sword-and-shield bosses—in contrast to the greater numbers of demons, beasts and dragons found in past games—seemed lazy to some players, but this boss will make you think twice about what From Software was going for with them. 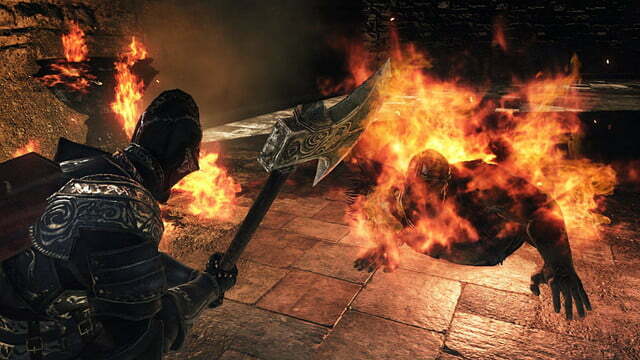 Remember how hard Artorias felt when the original Dark Souls‘ expansion dropped? This is like that, all over again. Defeating these foes takes more than just pattern recognition: you need to play it over and over until your reflexes literally improve. Oh, and make sure you’re not wearing any of the armor that will make him instantly buff his sword, and also remember to bring several of a certain limited-use item, or it will be way more difficult. 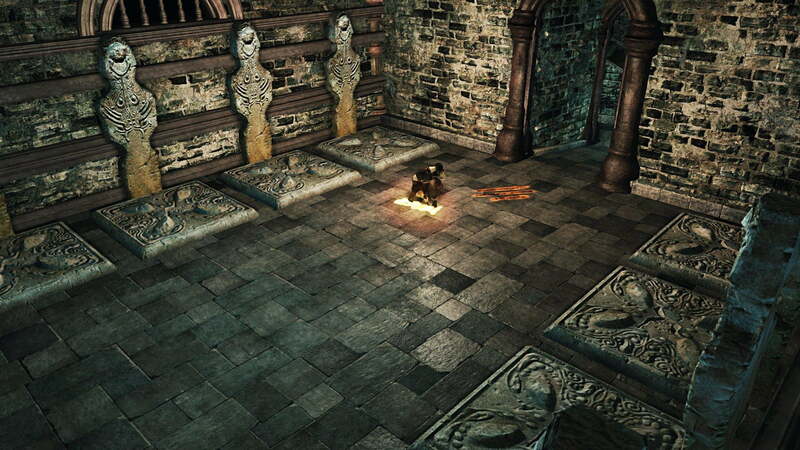 Ah, Dark Souls. And there are two other bosses, one optional, the other required, after this one. Each is incredibly difficult. 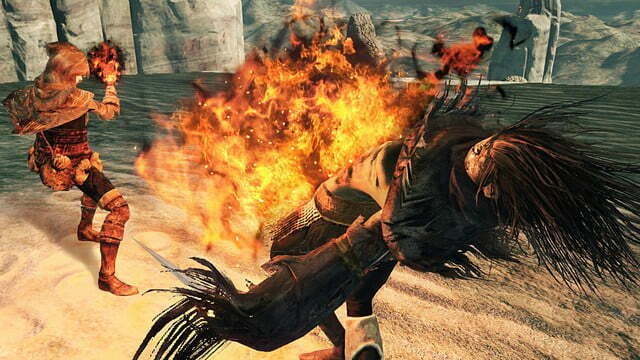 However, you’ll need the Ashen Mist Heart, an item obtained in Dark Souls 2‘s main story, to get much further. This is definitely meant to be late-game content, but even then it will test your mettle. If you’re looking for a challenge—plus a handful of new weapons, armors, rings, hexes, sorceries, and a spear that also casts spells—then Iron King is highly recommended. 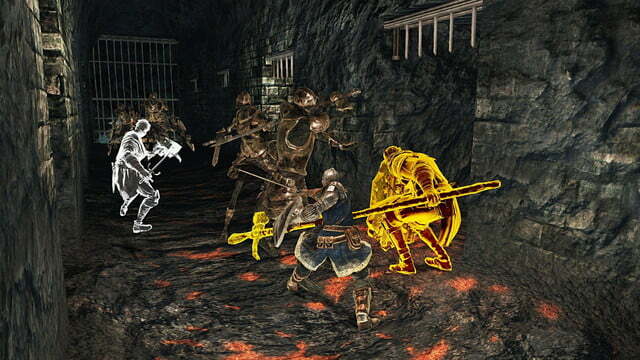 Just know that it contains some of the most difficult fights of the entire series, and when you’re talking about Dark Souls, that’s saying something. This game was reviewed on PC using a copy provided by the publisher.